At this time of year for the past few years I've posted scans of the lovely autumn leaves I've found around my neighborhood. This year the pickings were sad and slim. Hurricane Sandy, which destroyed so many beautiful trees, also battered the stuffing out of the ones it left standing. 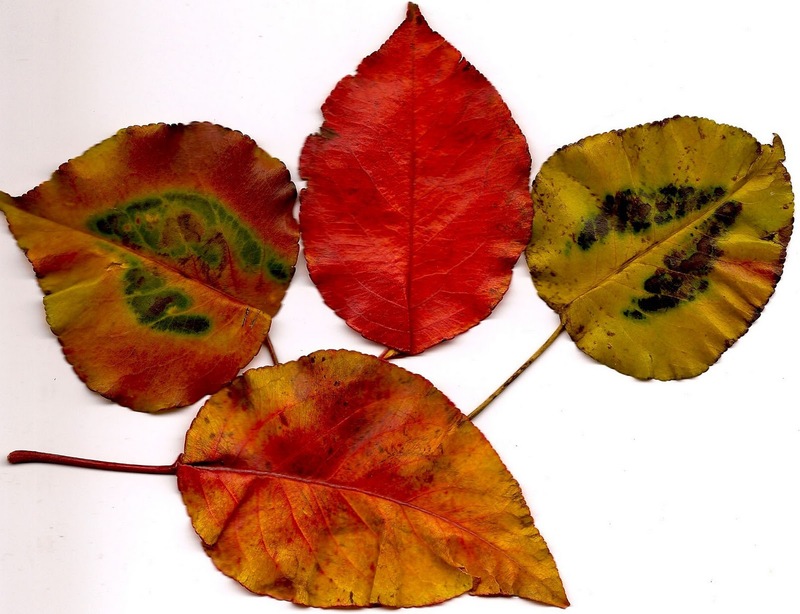 In many cases, as the photo above shows, some leaves never changed color at all but grimly went from green to dead. 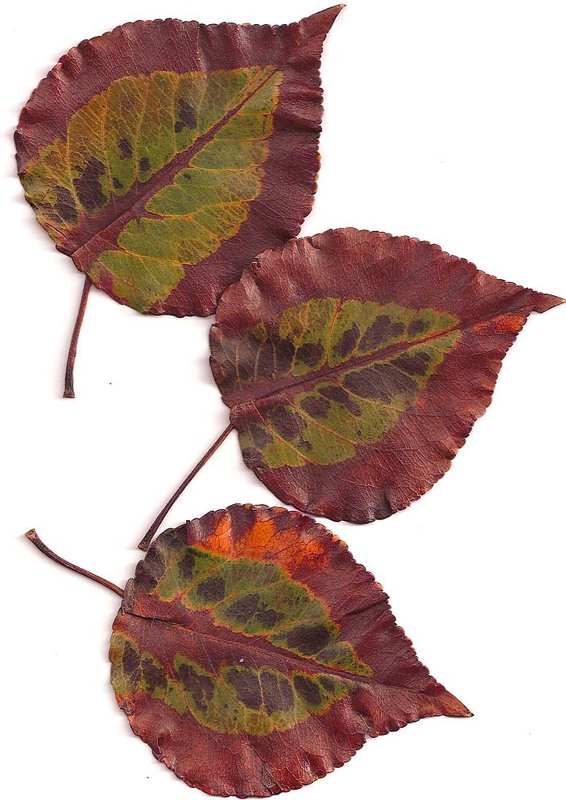 Here is my haul for 2012: three leaves, the best I could find – and even these are a little ragged and bruised. 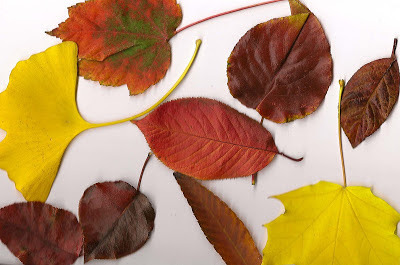 Since there isn't much to show for the current year, I decided to show you some of my favorite leaves from previous years. And as you look at them, have a listen to the Kinks singing their wonderful "Autumn Almanac". 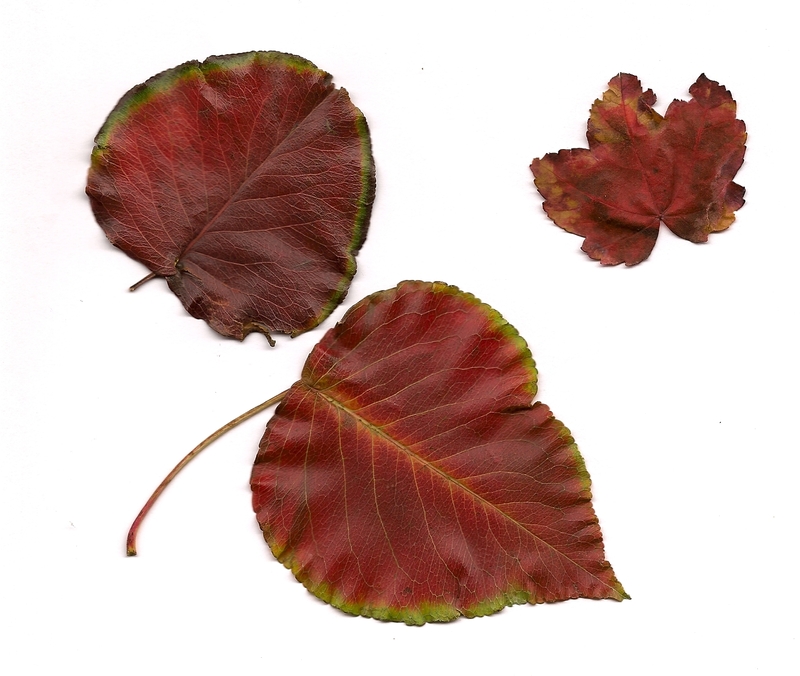 The tradition began in 2009 with these three leaves. "Don't you love New York in the fall? It makes me want to buy school supplies. I would send you a bouquet of newly sharpened pencils if I knew your name and address." 1940 photo by Jack Delano, a photographer for the Farm Security Administration. 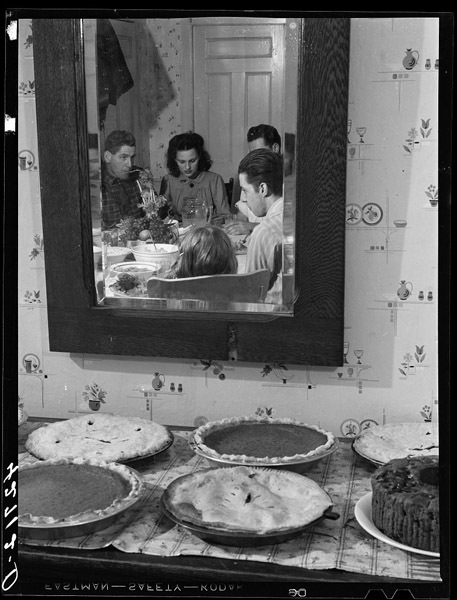 For more about this photo, visit the Library of Congress Prints and Photos blog. These are some of the lessons I learned on Thanksgiving 2012, including a few I re-learn every year. It is best to "shake well" before you open the can of evaporated milk. I buy sugar once a year, always on Thanksgiving morning (because I always forget). The ground cloves in my kitchen almost certainly date from the last millennium. All of my pie pans but one have migrated to my daughter's house. There's always a little too much pumpkin pie filling – just enough for a couple of great mini-pies. Cats are not immune to the eat-until-you're-ill theme of the day. Something is always too salty. I have never met anyone who likes turkey wings*. I am grateful for tea towels. References to "doorbusters" are a heinous linguistic blight at this time of year. Speaking of the cashification of Thanksgiving, linguist Ben Zimmer decimated the myth that "Black Friday" has anything to do with profitability. To learn what it's really about, read his 2011 Visual Thesaurus article. 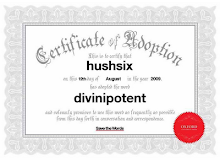 This morning I asked him (via Twitter) if he's written anything about "doorbuster" – he hasn't – but he directed me to Oxford Dictionaries, which first included the word in 2006, when he was an editor there. It has a surprising second definition. Update: The unfailingly polite Ben Zimmer sent me a follow-up note (tweet) today directing me to this comprehensive entry from Barry Popik's blog. * Another update: After I posted this, a Facebook friend said that she does like turkey wings "as long as they're crispy." "I'm thankful to be breathing, on this side of the grass. Whatever comes, comes." Bonus! For those who had a less than blissful thanksgiving, watch this video and discover it could have been worse. 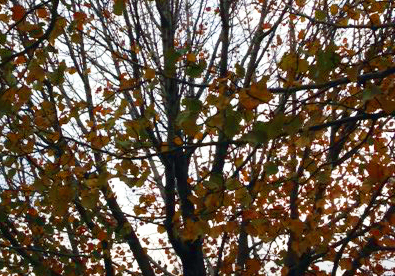 Joyce Kilmer's 1913 poem Trees was one of the first poems we were given to memorize in grammar school. I didn't like it then and don't like it much now, but there is a certain truth to its opening lines – especially when it comes to one particular tree, a willow that I have loved for decades. When I first moved to Hunter's Point, Queens, in the early 1980s, the area was vibrantly industrial and trees were in short supply. Paint factories, chemical plants, electrical parts manufacturers, printing presses were all going strong, employing tens of thousands. Down the street Empire Iron Works was piling beams onto trucks from dawn until dusk. Two blocks down, the Pepsi bottling plant was working shifts and trucks bustled by at all hours. The Pepsi plant is gone now, as are almost all the area's manufacturing jobs. 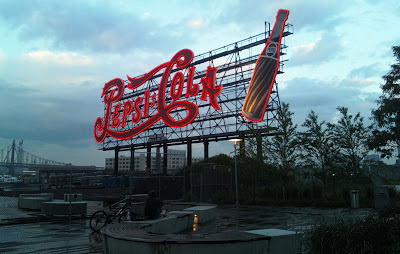 But as this photo I took a couple of years ago shows, its sign remains as a reminder of the neighborhood's past. 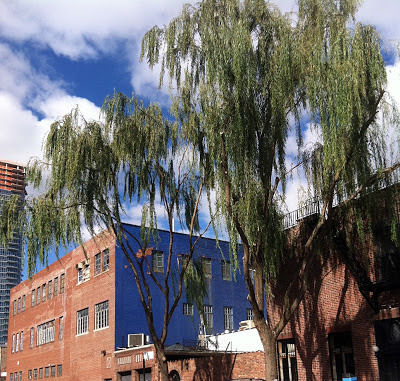 Another part of the past that stayed and stayed and actually has grown more beautiful over the years was a three-tree stand of weeping willows on a corner a block away. It was not only a rarity in this nature-starved area, it was so lush that the tops had merged into one giant canopy. Here's how it looked in the wind on Monday afternoon as Hurricane Sandy drew near. I joked that it resembled a shaggy dog shaking off water. Sandy, as we now know, was no joking matter. In the past week I've had this song running through my mind, over and over – Bob Dylan's High Water (for Charley Patton). 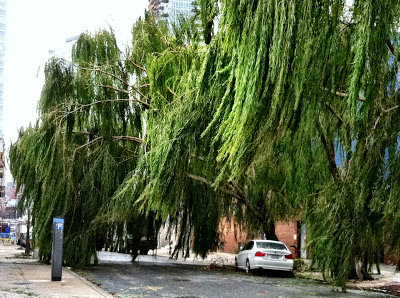 On Tuesday afternoon, as soon as the worst of the storm had passed, I walked down the street to see how my tree had fared. 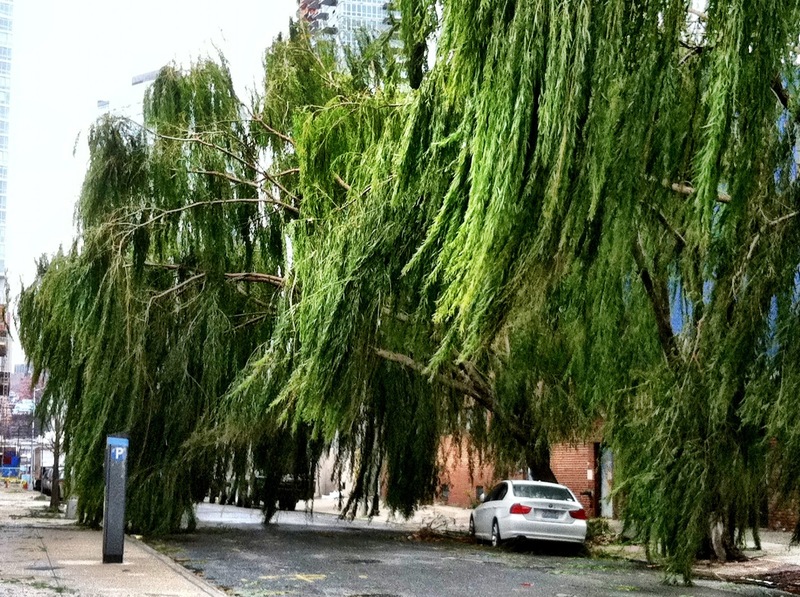 The news was bad – the beautiful willow was broken and bowed across the street. Then, yesterday, I was out walking again, taking photos of the storm damage, when I came upon this shocking site. One tree had been removed completely. 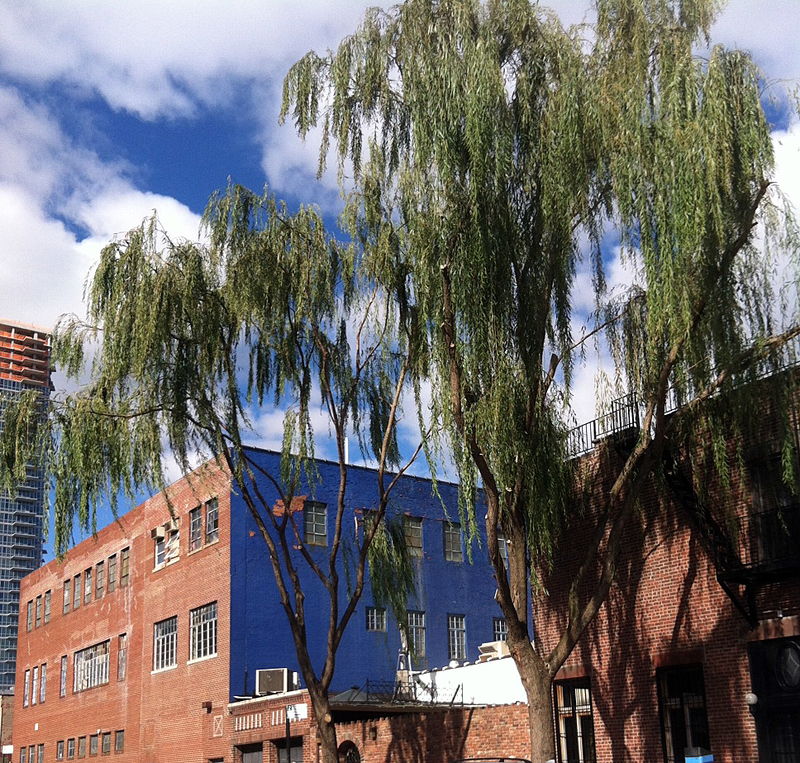 The remaining willows' broken limbs had been removed, leaving this sparse, mangy shell of what had been. 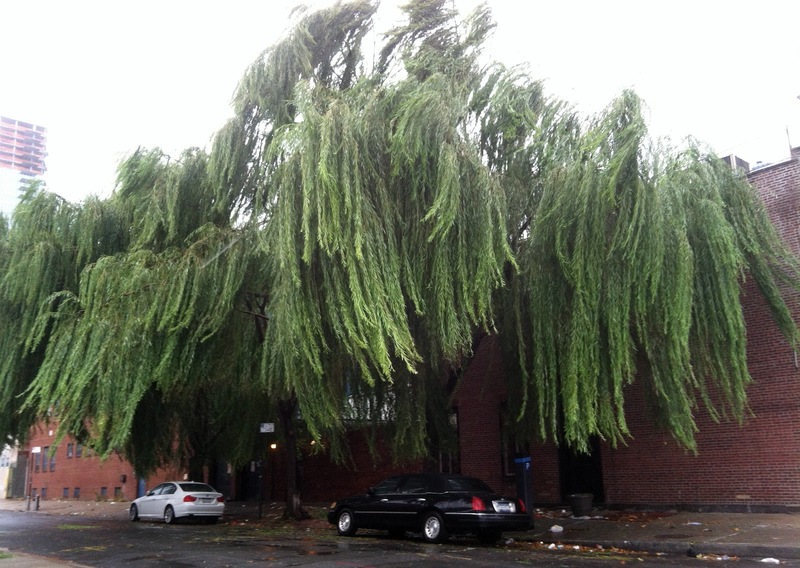 I've read that weeping willows are fast-growing trees – growing up to 10 feet a year. Even so, it will be years until this old beauty restores itself. Mourning is in order. Read the rest of "When Great Trees Fall" here - it's a lovely poem about large things. One more song for the road – Allison Kraus's "Down to the River to Pray".